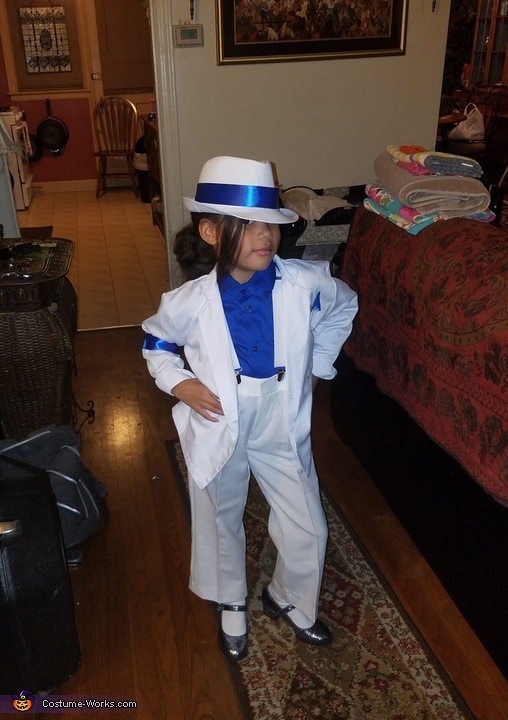 My daughter Madison loves Michael Jackson and decided she wanted to be him for Halloween. Not just any Michael Jackson but smooth criminal. (white is hard to find in the winter) so we had to get creative. Her jacket was a kids chef coat that I found at the thrift store cut and made into a suit jacket and added three details.